Quick Care Urgent Care is open 7 days a week to deliver the care you need, when you need it. We’re here for you from 8am – 8pm Monday through Friday and 8am – 4pm on Saturday and Sunday. We accept most private and commercial insurance plans. Please call us prior to your visit to verify coverage. Do I need an appointment, or can I just walk in? You never need an appointment at Quick Care Urgent Care. Just walk in when it’s convenient for you. We always strive to have you in and out within one hour, no matter when you arrive. 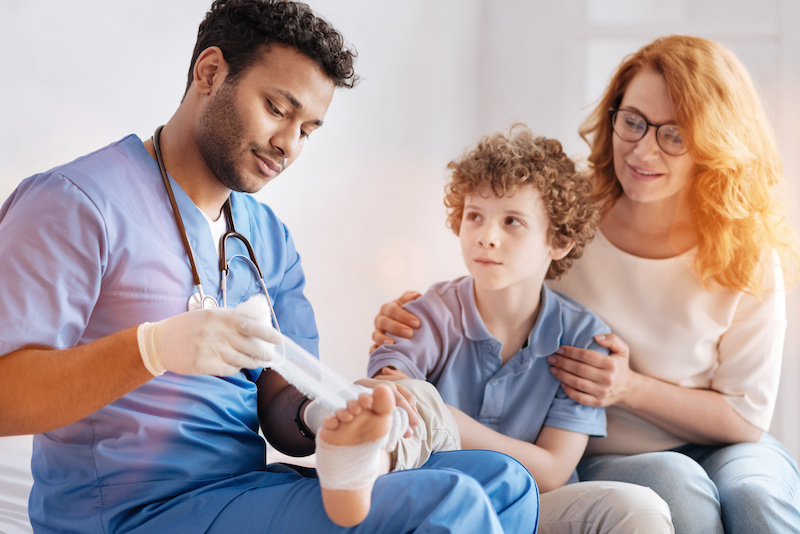 We offer a variety of walk-in, urgent care services. We treat most minor injuries and illnesses, and perform X-rays and lab testing on-site. We also provide occupational health services such as worker’s comp, treatment of employment-related injuries, and drug/alcohol screenings. Yes. We see children ages 6 months and up. Yes. We provide digital X-rays on-site. Yes. We provide easy and affordable camp, school, and sports physicals. We also provide employee physicals.